Spring has sprung. With the change in the weather and the birds singing outside I am inspired to begin foraging in the yard and wild areas for additions to our diet. The nettles are up and I am finding all of my spring weeds ready and waiting for me. Foraging has become more popular in recent years. My reaction to this situation is complicated. The more people get out and appreciate the food and medicine that is so close at hand, the more we will preserve it as a culture. The downsides are many. First, we aren’t always foraging with an eye toward preservation. Ramps are one of the foraged foods that seem to have become incredibly popular. Many don’t understand how this plant grows – that it grows incredibly slow and is only propagated by its continued ability to drop seed. Large patches have been mowed down out of our natural areas and parks because people are not taking only a few from each area they find and leaving a large patch behind. Our lack of understanding of the plant world sometimes makes us unknowingly greedy. The second big downfall to the foraging movement is, of course, the dangers of not being a good botanist. There are lookalikes in some plant families and there are plants that are downright toxic (poisonous) that we need to learn before we begin eating our way across the forest. I thought I would share some of the plants we can find now that are toxic. This isn’t an end-all be-all list of toxic plants. For example, pokeweed is considered a toxic plant, but it is not toxic in the spring when its green shoots are small. They are absent from this list for that reason. Read on to learn some of the plants that you should “look but don’t touch” in this green and enticing season of spring! Rhubarb (Rheum rhabarbarum) – In the early spring the leaves begin to unfurl. There is a reddish cast to the veining of the leaves which will give way to the red stalk we are used to using in pies. 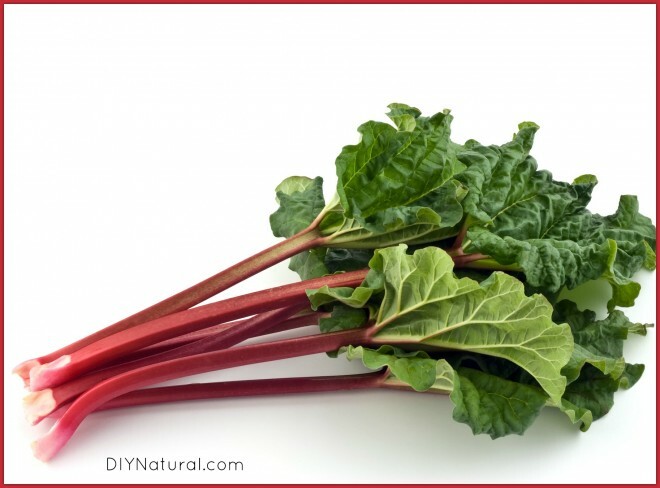 The leaves look similar to those of swiss chard and may initially look good to eat. 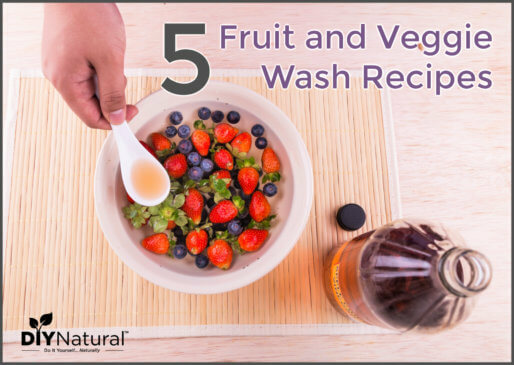 The concentration of calcium oxalate crystals in the leaves are toxic and can cause damage to the digestive tract and kidneys. 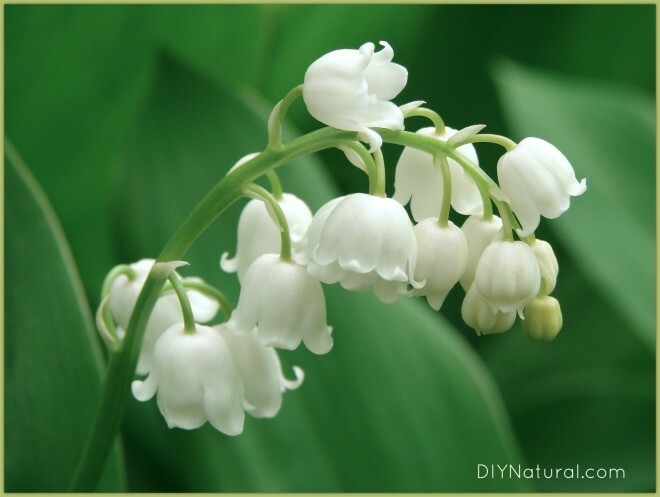 Is Lily of the Valley Poisonous? Lily of the Valley (Convallaria majalis) – This is a colony plant. It spreads by means of an underground network of rhizomes. The leaves are lily-like and stand pretty upright. There is no color to the ribs and veins throughout the leaves. Shortly after the leaves have emerged this plant sends up a flower stalk with white, bell-shaped flowers. It has a distinct flowery smell when you rub it between your fingers. This plant can be helpful in the hands of an experience practitioner, otherwise it can cause a dangerously irregular heartbeat if ingested. Often mistaken for edible ramps. 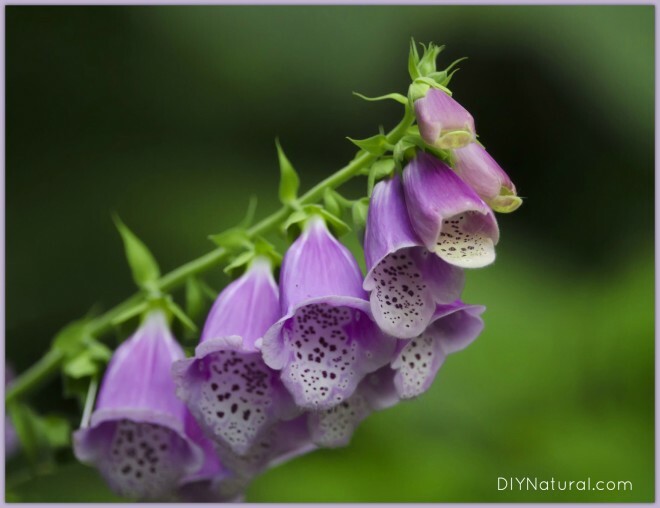 Foxglove (Digitalis purpurea) – A beautiful alpine native, this biennial plant likes to grow on acidic soil. It has fuzzy leaves and in the second year a flower stalk with multiple horn-shaped flowers. The leaves of this plant still produce digitalis for us even today, though its use by the home caretaker ceased long ago. This plant is only for use by the medical profession or a skilled practitioner. 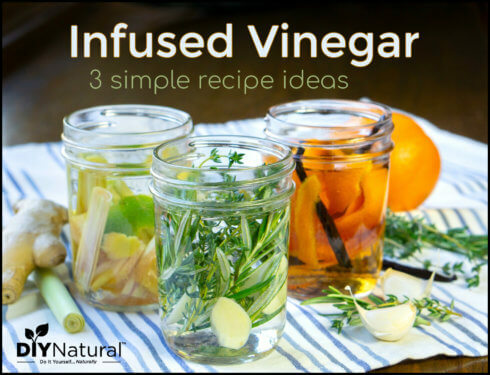 In any but the smallest doses this herb can have dangerous effects on heart rate and blood pressure. 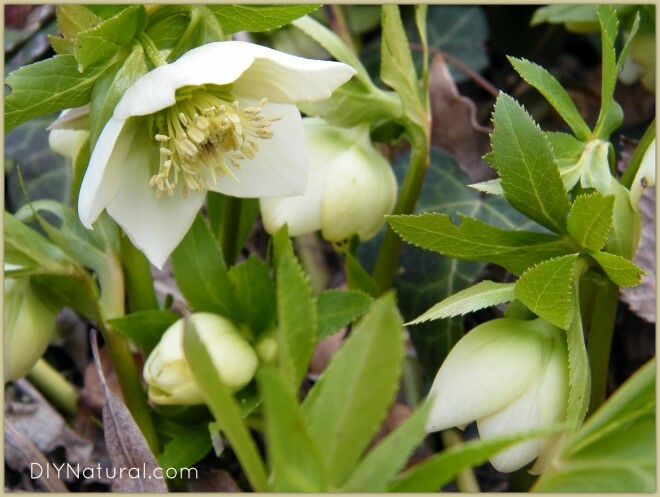 Hellebore (Helleborus spp.) – This is the commonly known Lenten rose that appears very early in spring, bringing a buttercup shaped flower of many colors. Some members of this genus have a historical use as heart tonics, addressing high blood pressure and unstable heart beat. Used in anything more than very minute amounts, this plant can have deadly results. Its rootstock was most often used but it is best to avoid ingestion of any part of the plant. False Hellebore (Veratrum viride) – The leaves of this plant are heavily veined in closely spaced lines from petrole to tip. The leaves are arranged at the soil level in a spiral and there are many of them all together. 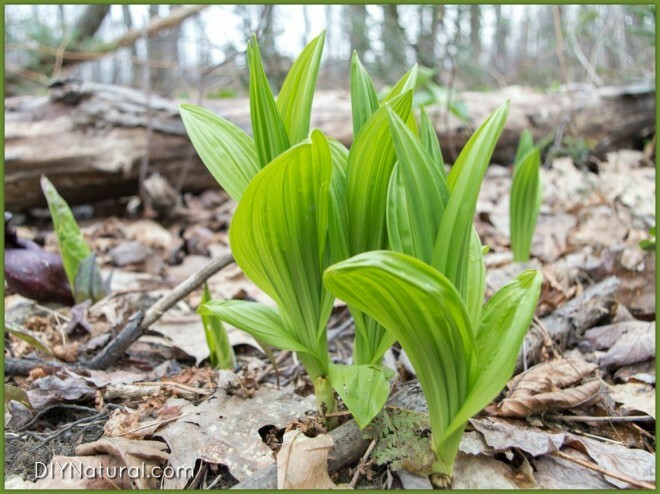 False hellebore is highly toxic to humans and animals, affecting the function of the heart and the sympathetic nervous system. Deadly if untreated. Often mistaken for edible ramps. 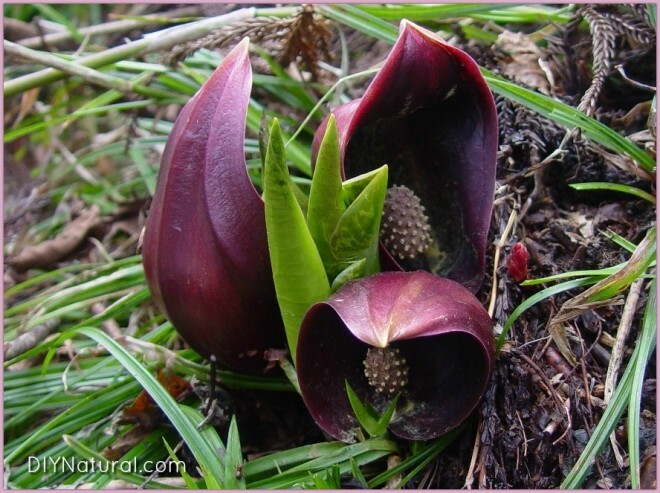 Skunk Cabbage (Symplocarpus foetidus) – This plant isn’t deadly and in fact has been used as medicine in some cases. 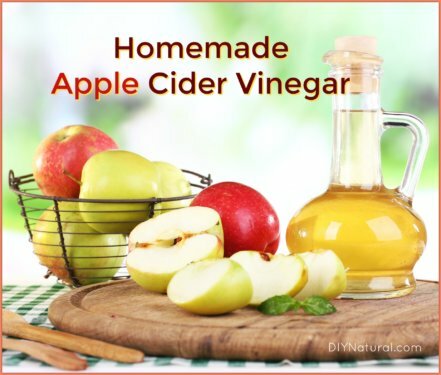 The leaves, when ingested, can cause itching, burning, and swelling of the mouth whether or not it is cooked. The leaves have a more extensive network of veining than the leaves of the onion family and it has a fibrous root structure. Very early in the spring this plant sends up a maroon flower that is said to stink – thus its common name. It is often mistaken for edible ramps.